Sittercity.com, a Chicago, IL-based online platform for in-home care, closed a $13m financing. Backers included Bright Horizons Family Solutions® Inc. (NYSE: BFAM), a provider of child care, early education, back-up care and other work/life solutions, and existing investors Apex Venture Partners, Baird Venture Capital, I2A Funds, Point Judith Capital, Pritzker Group Venture Capital, State of Wisconsin Investment Board and new debt provider Square 1 Bank. The company intends to use the funds to expand operations and strengthen its market position. 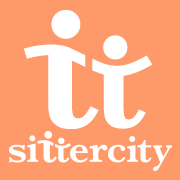 Founded in 2001 and led by CEO Martin Clifford, Sittercity is an online solution for connecting families with local caregivers, including babysitters, nannies, special needs sitters, care companions, and pet sitters. It provides profiles reviewed by industry professionals complete with photos, parent reviews, up-to-date availability, references and caregiving experience, as well as tools to help families throughout the screening and hiring process, including two levels of background checks, motor vehicle records checks, and an online safety guide. The investment makes Bright Horizons the exclusive provider of Sittercity’s employer-sponsored SelectPlus program, which gives employees access to a large online network of caregivers, including child care, elder care and pet care.